· Team members in Singapore routinely experienced compatibility issues with the communication technology supplied by the American team leader. The unreliable technology often led to canceled or delayed meetings, frustrating everyone. · The Germans had difficulty moving forward unless each agenda item was unanimously agreed upon, which “felt” wrong to the Americans, who were happy to move ahead with a simple majority decision. · Meetings often appeared to end without disagreements, but time and again the Singaporean team privately relayed concerns afterward to the American team leader. Items would then be re-discussed the following week, creating mounting delays. When we observed their meetings, the global team’s technical difficulties, disagreements on meeting norms, and subtle cultural conflicts caused unnecessary team frustration, a variety of inefficiencies and the obvious project delays—just as HBRsuggested. But it doesn’t have to be so. This trio of challenges can be addressed by carefully considering the importance of using the right technology, establishing unified team processes, and encouraging team participation in a way that’s appropriate for the diverse cultures represented on a particular global team. Here are some suggested best practices to help you lead highly productive global virtual meetings and prevent some of the most common issues such teams face. Technology is what makes global virtual communication possible. But if it’s unreliable, doesn’t suit the group’s needs, or is difficult to use, it can hinder productivity by creating confusion and wasting time. By definition, meetings need a place—physical or virtual—for group discussions. So, without the ability to converse smoothly, a virtual meeting can’t possibly live up to its potential! Today’s variety of virtual communication methods—conference calls, video chats, screen-sharing, email, instant messaging, and even “unified communications” systems that combine them all—can make it tempting to use more tech than what’s actually necessary. But using too many forms of communication can exacerbate the already present intercultural communication challenges of global virtual teams. It’s been found that 89% of those who work on remote teams are most often frustrated by team communication issues. One technology best practice to help your team communicate more effectively is to use only one simple virtual communications platform. Routinely using the same conference call line, for example, eliminates unnecessary complexity like ever-changing meeting ID numbers that are often generated uniquely for each event. Regardless of the technology, technical difficulties are inevitable. Every global virtual meeting needs a plan B. Whether it’s automatically rescheduling or switching to a back-up communication method, it’s a good idea to set a standard ahead of time for dealing with technical difficulties, so everyone on your team knows what to do. Diverse values and perspectives, of course, are a big part of what makes global teamwork so worthwhile for most organizations. However, that diversity makes it harder for team members to know what to expect (and what is expected of them), since various cultures approach interactions in different ways. This can lead to misunderstandings, especially during virtual meetings where body language can’t be seen. 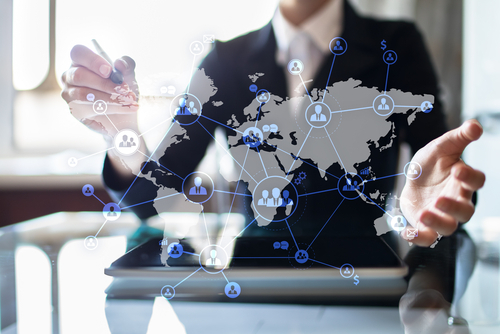 Establishing a clear team vision with well-defined processes and protocols helps take the guesswork out of who does what and when, opening the door to more productive global virtual meetings. For example, defining whether decisions were to be made by simple majority or unanimously would have helped the global team of Americans, Germans and Singaporeans. Another good idea for global teams is to establish roles and responsibilities for each team member, ranging from high-visibility tasks such as leading meetings and keeping the group focused to important but lesser-valued tasks like taking notes and keeping time. As a team leader considers such processes, though, he or she must bear in mind that the goal is not to eliminate cultural diversity or homogenize behaviors along the lines of his or her culture. That approach essentially strips a team of the strengths and benefits that can arise from cultural diversity. Instead, the goal should be to create a team culture in which each individual considers one another within their own cultural context andworks to clarify the best ways of collaborating within specific team guidelines. To thrive, diverse global virtual teams need an inclusive environment that promotes open, respectful, and—most of all—consistent participation. The problem is, not everyone feels comfortable openly communicating during meetings. Folks who value Hierarchy or Indirect Communication, for example, may prefer not to publicly disagree with a team leader. But productive virtual meetings encourage everyone to express their ideas. Interrupting conversations dominated by direct, confident, native speakers can be a challenge for many. One way to overcome this is to leverage a chat platform that is used in parallel to a teleconference, with the team leader monitoring the chat and interjecting from time to time with thoughts shared there by other team members. When it comes to sensitive or tough conversations that require input from multiple people, another good inclusion practice is to solicit opinions from each person in advance and in writing. This gives everyone time and space to prepare and share their thoughts. From there, it’s important to prepare an agenda that gives sufficient time for each person to speak aloud during a meeting. The authors of Closeness at a Distance: Leading Virtual Groups to High Performance suggest a “team clock” as a handy way to organize speakers (See the image below for an example). This simple device defines the sequence of speakers and overcomes the challenges inherent to a group of people with diverse communication styles. Adding a timekeeper ensures all members get their chance to speak on time. Another tip to inspire your whole team to contribute is to simply start each meeting with an inclusion reminder. This can be as straightforward as saying, “I’d like to go around and get everyone’s opinion today,” and then proceed to solicit input from everyone. Running a great meeting is hard. Make it virtual? Even harder. And global? Harder still. While integral for global team success, the nature of virtual meetings can inhibit team productivity. Following these best practices can help your team avoid technical difficulties and work through the subtle cultural differences that can otherwise cloud team processes and diminish diverse participation.